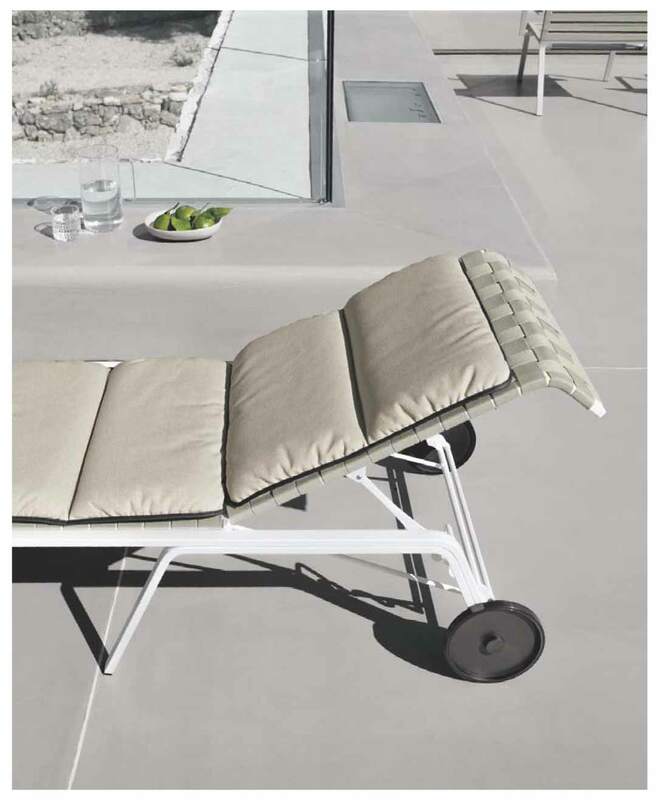 The chairs in the Kristalia outdoor collection become even more comfortable and original with Lips cushions and padded products. The black trim all around their edges resembles the edge of an illustration in Indian ink. 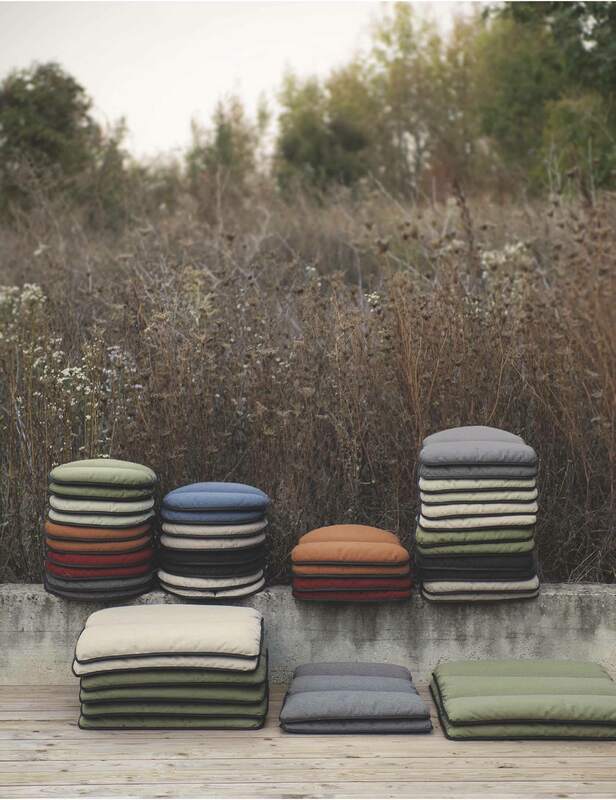 The fabrics, in various colors to suit all tastes and combinations, are ideal for outdoor use. When it rains, the special water-repellent padding dries quickly in the open air; in winter, simply protect them with a cloth. 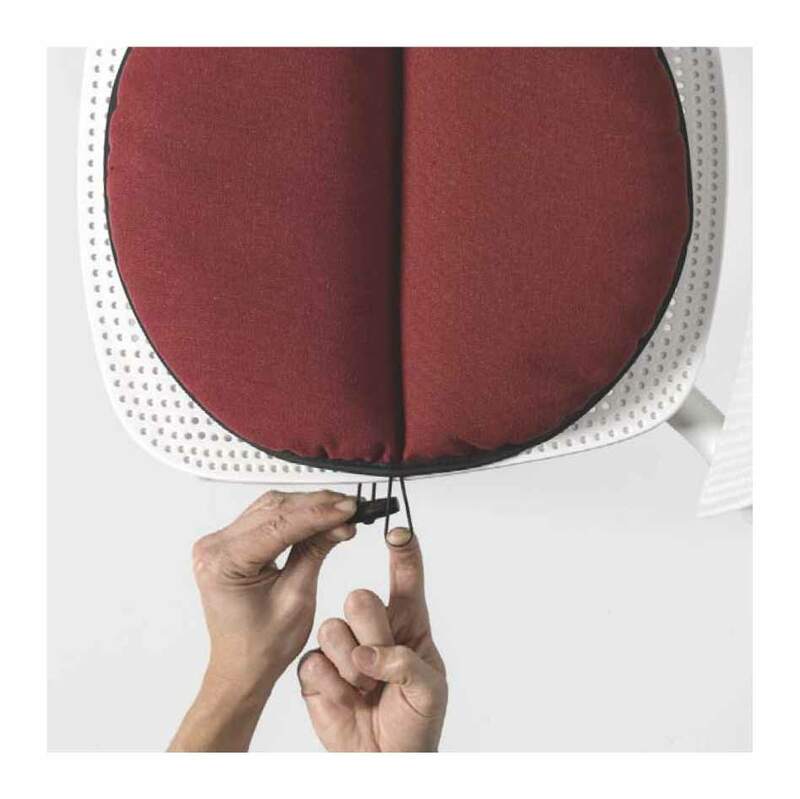 The lower surface is also upholstered in non-slip material. 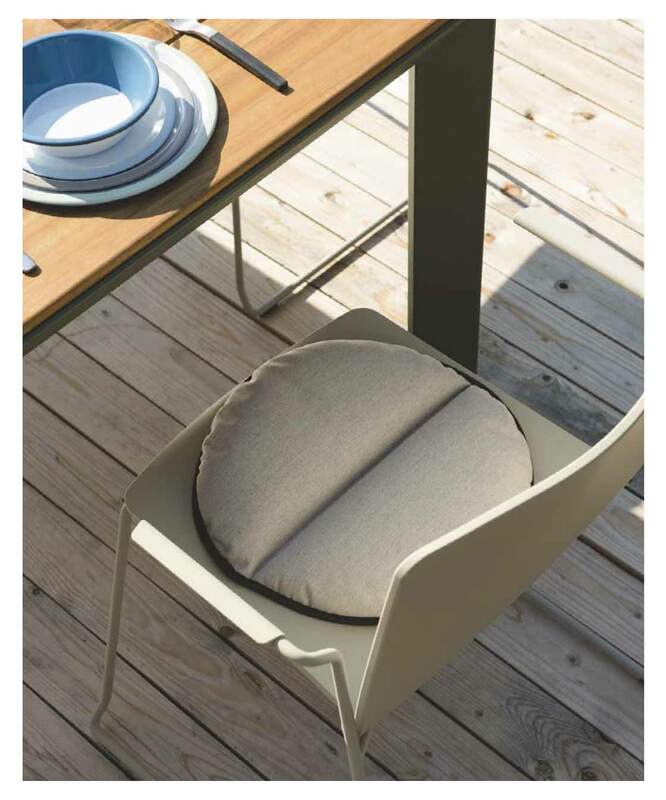 For some chair models, various cushions are combined with tear-away fabric to create soft compositions.